Other then the commercial coffee makers, are there any completely automatic drip home coffee makers out there that have no plastic parts? I mean any piece that water or coffee grounds touch. I’m not looking for the all glass Chemex where you heat the water separately. I guess I'm just a little lazy. I believe the answer to your question is no. A lot of people are feeling concerned right now about plastics in coffee makers and, as you know, one of the answers is to use a manual drip brewer, like the all-glass Chemex. But as far as I know, there are no automatic drip brewers that are free of plastic parts. Anyway, I’m posting your question here in the hope that someone may know of a brewer that is plastic-free and tell us about it. Comments for Is There an Automatic Drip Coffee Maker with no plastic parts? What is your opinion of the Krups Moka Brew? Does anybody know when I can purchase the 'Bunn Washer Seal Repair Kit 4041' in the UK? 3 Things wrong with the previous poster being excited about the Farberware percolator. The people in this comment thread are searching for something that won't be putting toxic chemicals into our bodies. 1st, there is a plastic cap that the steam touches and extracts poison back into the coffee. 2nd, the stainless steel is made in China, which has been proven to not be trusted since many have been found to contain lead, even though they lie and say that it's the standards expected. NEVER TRUST ANYTHING FROM CHINA!!! 3rd, percolated coffee is at 212 degrees, which makes a horrible coffee, since it needs to be 200 degrees. Got a Farberware old fashioned stove top percolator, love it. On Amazon under Farberware Classic Stainless Steel Yosemite 8-Cup Coffee Percolator, for $21.24. Both the Ratio 8 and Orenda look promising until a little more research reveals that both of them source their stainless steel from China (which has been known to have lead in it and no quality control to ensure they aren't cutting corners for profit) and the Ratio 8 has plastic inside. The insulated carafe lip looks plastic on the website,like a thermos. Let me know when u receive yours what material the lid is. I picked up a CW15 APS on Ebay. It came with a plastic funnel but I've purchased a stainless steel one to replace it. It's great because the coffee goes straight into an insulated carafe rather than sitting on a heated plate. I serviced these for several years. The "commercial" bunn makers have no plastic/aluminum parts in contact with the water. Look on ebay for used ones. The VP lines are what I've used. They are still made in Illinois, last for a long time, are very serviceable and cost a mint used. (like $100+ for a good used one when you consider shipping). I've bought them roached out and covered in scale. But since they're mostly stainless I can soak the pots in acid and clean them up great!. Brewmatic built-in coffee appliance appears to be all stainless steel. Thanks for the Orenda tip. Looks great!! The answer to your question is no. Both Ratio and ChemX propose to use less plastic, but there is still tons of polymers leaching into your coffee. Additionally, both use aluminum heating elements and won't disclose if the water comes in contact with the aluminum, which is just as bad as coming into contact with the plastic. I say stay turned, because I'm so fed up with manufacturer's not building coffee maker with a totally plastic/aluminum free water path that I decided to do it, and collect the millions of dollars myself. Check back in about a year and I should have a solution for you. French press is a good way to go. I also just found on Amazon a Bunn that has a stainless steel water tank. The pour over is great but takes quite a while to make a pot. Kudos to all of you for trying to find a plastic-free coffee maker. I started this quest after my mother brought her super cheap mini-Mr. Coffee dripmaker to our house during her 3-week long stay. I actually requested it because I was always intrigued by the flavor and body of the coffee it made...which is very odd considering I'm a diehard French Press user. The French Press has better flavor notes (of course) than drip but the body of French Press coffee is a little muddy and less uniform - something you very quickly notice when you try good drip coffee. Drip coffee from this little Mr. Coffee was actually very, very good. But I too realized quickly that realistically, there was no way I'd find a plastic-free dripmaker - unless it was a high-end machine that was purposefully made that way. So my suggestion is to go the Chemex (pour over) route. I'm seriously considering it. It should make coffee just as good as a dripmaker...who knows, maybe better. I would also highly recommend a French Press. If I could only have ONE coffee maker, it would definitely be a French Press. Good luck to all - keep up the quest for good coffee!! Due to all the concerns regarding drip makers, decided on a S.S. Percolator, Hamilton Beach all Stainless was recommended. 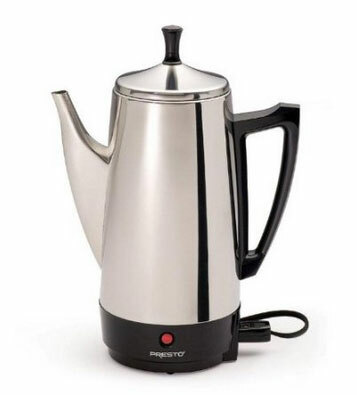 Just called the Hamilton Beach Company, and they said the Stainless Steel Percolator IS Stainless Steel, BUT the heating plate at the bottom inside the pot is made of Aluminum! That's just as bad as the plastic. Think I'm going to give up coffee drinking! Well, here's a unique coffeemaker with no plastic parts! why do coffee drinkers live longer? Has anyone looked into the Ottomatic by Chemex and whether it has plastic parts touching hot water? It does have a plastic reservoir for cold water, but I'm more concerned with the hot water interacting with plastic. Don't buy a Presto stainless steel coffee percolator. There is an aluminium nut on the bottom that corrodes. Bad for health. Not 100 percent stainless where it counts. I have a Bunn VP17-1 and bought it for this exact reason. I've also opened it up to confirm there's no plastic in contact with hot water at any point in the process. You pour (cold) water in through a plastic screen on top of the machine and it goes into a metal reservoir. It then displaces the hot water which is in a metal tank, which causes the hot water in the tank to come out of a metal pipe and make its way to the metal spray head. There is a silicone gasket to ensure a good seal between the tank and the tank lid, but I don't think this is a concern, since the lid itself is also metal and I'm not sure water would make contact with the gasket anyways. It's only there to seal the edge. The funnel that comes with the machine is plastic, but there is a stainless steel funnel available for purchase. The machine is a simple drip machine, and it works well but has its annoyances like no power switch (an outlet switch fixes that) and you can't adjust the temperature of the lower burner, so it will evaporate your coffee if you forget to turn it off. Cleaning the tank is time-consuming because this particular model doesn't have a drain. Every few months, you pour in white vinegar to disinfect the tank, and then keep pouring filtered water through it until what comes out tastes like water, not vinegar. The problem is that filtering all that water takes a long time, and that you have to wait for it to make its way through the machine, in a process where you are successively diluting the vinegar until it's gone. All of this is done with the machine turned off, so the water will be cool throughout. It just takes time and patience. You will also need to buy a carafe. This is the funnel, but SEE MY NOTE BELOW. NOTE: The funnel as sold on Amazon comes without a critical piece: the funnel tip kit, Bunn part # 01031.0000. Bunn actually sent it to me for free when I called. It's not a conventional option, nor is it cheap, but it accomplishes the no plastic goal. May not be plastic but there is ALUMINUM! I was thinking of buying Presto 02811 Stainless Steel Coffee Maker but after reading the reviews on Amazon I found that there is aluminum in the bottom of this pot. As much as I didn't want to I'm leaning more and more to the Chemex. So frustrating! Elegant and no plastic parts. Could you do a review on it Coffe Detective? Thank you! The Ratio Eight is the first fully automatic drip machine I've heard of with no plastic: they make a point of this in their advertising. 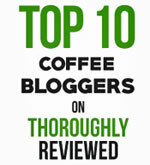 It has gotten very positive reviews on coffee sites. Downside is that it costs $600. Way out of my range. I used a cheaper drip machine every day for years, but now use completely manual processes and don't find it a nuisance. Pourover, aeropress, french press etc. don't need any machinery, and except for the aeropress it's easy enough to avoid plastic. It looks like the coffee maker has pastic part where water flows. extraction, so it wouldn't be in contact for long. Really nice coffee. Keeps the coffee warm not hot afterwards, but that's a plus because it doesn't burn it. I micro the 2nd cup. I have pretty much given up on inexpensive, automatic drip coffee makers. Brand-new Farberware 5-cup has tasted terrible (like musty plastic!) from day one. I am going back to my Bodum glass press, with water heated by a plug-in Rival brand soup/water heater with adjustable heat. I have only used it for water. Although it is red plastic with a hot plate in the bottom, coffee and tea brewed using this water does not taste bad. It works so quickly, I can do the coffee prep/ stay in the kitchen and the water is ready. Inside at the base there is metal that turns black - could it be lead? It doesn't look like stainless steel or aluminum. That would be much worse than plastic! My husband and I love the taste of the coffee it makes, and it is very hot until the last drop, but the concern about lead has me questioning its value. I, too, prefer my coffee without plastic. I have used a Melitta drip for years and was looking for something that required less time and attention in the morning. Something that I could turn on and forget that would do its thing while I meditate, saving about 15 minutes each morning. That's not to saypreparing coffee isn't its own meditation on life... My Melitta pot and porcelain filter are not a perfect fit so spills and disasters are frequent. My husband suggested a Chemex drip as it has fewer moving parts. But requires no less attention. The Chemex ottomatic (sic) has plastic throughout, so not an option. I moved on to the Presto percolator. While this machine has no plastic parts, percolating brings out the bitter edge of coffee and the pot adds a metallic tinge. Not for me. But setting up a siphon while bleary-eyed and lighting an alcohol stove beneath is more excitement than I need at 4:30 am. The automatic "good as pour-over" models all have plastic parts. The most promising was the KitchenAid, but, alas, the filter is ringed with plastic. Tempting after 9 hours of research, but I wasn't quite ready to give up. I researched a few restaurant models, but do not have 14" of available footprint - that's just the machine, not the space needed to work around it. Avantco seems to have a 12-cup model, but all search engines failed to find specs. Probably need to find a restaurant supplier for this. In the end, the French Press is the next closest to Melitta pour for purity. Nothing is hidden from view and so there can be no hidden plastic parts. It requires only waiting for water to boil and for coffee to release its flavor. The downside of Bodum models is the glass is thin disperses heat quickly. Either you gulp the first cup to have the second one hot, or you're out of luck. The double-wall stainless steel insulated models looked interesting, but none are chrome plated that I could find, so they would encourage the dreaded metallic tinge that ruins a good cup of coffee. Great site - hope someone comes up with a real automatic, really plastic-free model. Till then, I'm pressing. I bought an AvantCo coffee maker from webstaurant.com 3 years ago. It is a commercial unit the size of the small Bunn. The inlet screen is plastic but only cold water touches that. The rest, including the brew pot and the filter holder is stainless. There is surgical type tubing to route the hot water internally. I verified that by removing the back. I use commercial filters that have been oxygen bleached. No funny taste in the coffee. The stay hot plate heaters were a weak point. They burned out fairly fast. It looks like they are using a new style heater. I replaced mine with a different kind. Cost new is over $100, but I got mine refurbed for about 80. Still going strong. There is plastic in the Chemex? With this brand, do you have to buy their filters? I use the Bialetti Moka express for regular coffee as well as espresso. I have both the 6 cup, which yields one large mug (2 coffee cups) of regular coffee. Usually I use a good Kona coffee, medium ground for this, and the flavor is incredible as well as consistent. Simply rinse out the coffee chamber with warm water to clean. The grounds basket is also metal and easy to clean simply by rinsing. When I want the espresso cup, I simply put in espresso ground coffee and go to the smaller cup (traditionally) for many may call espresso, Greek, or Turkish coffee. Outstanding! I also purchased the 12 cup version which allows me to make 3 standard (not giant) mugs of coffee for guests. I've actually thought of buying another for times when I have larger gatherings. All in all, the coffee is consistently good and never an after-taste or chemical-taste. Simply fill the bottom to the the line just below the vent, place the grounds basket in it and bill to the top (without getting grounds on the lip of the basket), then screw on the coffee pot top and voila!! Place on low to medium heat and wait for the sounds of gurgling. You can carefully lift the lid to see that the coffee has risen to the top of the pot. Remove from heat and serve. 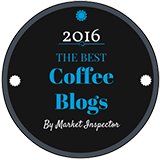 It doesn't take more than minutes to brew, and the flavor is consistently GOOD !!! Editor's Note: It may be BPA-free, but definitely not plastic-free. Think I am going to try this. I have an old Corning pot, but it is huge. Is this just for expresso or can you make a regular cup of coffee in it? I have been on the this hunt for years. Amazing that manufacturers haven't latched on to the idea yet. The Bialetti looks promising though unsure how it would do with making "regular" coffee as it's billed as an espresso maker. It says it is made of all stainless. I just spoke with a rep at Presto and though there is no plastic in the percolator, the bottom area where the water heats is aluminum, not stainless steel. If you want to avoid plastic and aluminum, your best bet would be to purchase a vintage percolator. I'm not an alarmist but I am a biochemist and an MD whose work for the last 15 years has been dedicated to environmental medicine. I was a bit of a naysayer before but after years of research, I will not eat or drink anything prepared or stored in aluminum. Breast cancer patients have high levels of aluminum in their system and even if there is, as of yet, no definitive evidence that aluminum is safe, the anecdotal evidence is off the charts. I prefer to use a Chemex, french press, or a vacuum brewer. Sure it's not as convenient as a drip maker, but would you rather be inconvenienced in how you make your morning coffee or "inconvenienced" by cancer? Just supporting this research and interest!! I'm on the hunt also, may switch to percolator and try it out. Think my grandparents used something like that! well i was thinking of buying a large industrial type stainless steel coffee machine basket. like the one on the big drip machine at starbucks. Place it over a large neck glass carafe and do a slow pour... sort of mimic the machine. I've noticed and watched the big machines.. the one at bucks seems to spray water slow at first ..then speeds up and fills the basket with water..drips slowly until brewed. Would hope to find a stainless steal filter too! But, I will use a paper filter that fits the large basket... rinse it before using it. But, hope i can find a large mesh filter for it.. then reuse it. Also, saw a very large chefs cone shape colander at the restaurant supply store. it was all stainless steel. maybe a somewhat coarse ground and light tamping place the bottom 3 to 4 inches of the cone/filled with coffee grounds into a large neck glass carafe and do a slow pour of boiling water from a glass on the stove boiler. all glass.. all metal... pure coffee. A french press is great. but, just need a big batch. If Bunn has a boiler tank and basket that is all metal... why don't they just say it? But, far as i can tell... at some point the hot water or coffee in all makers touches plastic. If there is maker out there.. they would sell like hotcakes. Or it's just like anything else. If a company like bunn try's to promote the all metal.. then they assume people will dis the plastic ones? Well, Millions of people don't care about leaching plastic for boiling water into there food. So, please some company out there just tell us your all stainless and we will buy it! Is there anyone with knowledge and a website to buy the "Breaking Bad" type coffee set up? That was cool. Is the tank where the water is heated Stainless Steel? Description is confusing. No. The inside is mostly plastic with a metal heating element. So that seems to cancel out hope for the Bunn. Seems there's no solution among the auto drip coffee makers. I read through all the manual solutions. I am ruling out percolators because of taste issues, and ruling out the single cup filtering systems because the household will drink a whole pot. So I'm thinking of a stainless steel french press filled by stainless steel teapot. Pros: great coffee, and probably only need to brew 1-2 times per day for the household, Cons: More effort, more cleanup, expensive (but carafe should last forever). Could this work? I'm trying coffee in a bag. I've almost got it to the point of being delicious. I'm putting coffee in thin piece of cloth and placing in boiling water. Still trying to determine the best balance of water and coffee. This idea came from a sight that suggested using coffee filters to make bags as in tea bags. Great idea, but I'm a bit too lazy. I ultimately ended up getting a french press which is excellent. Problem is I have been lazy and got a $20 drip maker so it can make me coffee automatically. I gave up on finding a non-plastic reservoir. I can't justify paying $100 for one of the commercial makers that may not last a year and has no auto features. i've been searching forever for an electric drip maker with no plastic parts touching the hot water. Bodum Bistro Brew Coffee Maker? A coffee system with less plastic? I have looked into the bunn comercial coffee makers. They are bigger than your at home average unit. I do believe that most if not all, of the parts that come into contact with the water are stainless steel. The smaller units come with a plastic coffee basket, but with further investigation, I found that you can buy a stainless one.for an extra 60$ (or more?). I have not contacted the company personally to verify this statement,but I was able to take a look at a breakdown of all the parts of the coffee maker, and it appeared that most of the guts were stainless. If anyone thinks to call Bunn they could verify. OH by the way, Bunn makes a home unit but I think the guts (parts that tounch the water) were not all stainless. Has anyone tried this glass cone filter? I'm still looking for something besides a Chemex. I'd prefer to stay away from metals, too. I'd consider a porcelain or ceramic drip cone if I believed China wouldn't cut corners and use something harmful in the glaze. Does anyone know if someone makes a glass drip cone? Ideally, I'd like all glass to come in contact with water and coffee. I have no problem with a paper filter, but do not want a washable cloth filter as used in vacuum coffee makers. I can't believe a glass coffee maker is so hard to find. I found a really cool upcycled drip coffee maker designed by Gaspard Tine Beres. It's made with cork, chemistry beaker glass, and electrical components. I just don't think it's on the market yet, which is a shame. It's being shown at design exhibitions in Europe by Re-Do Studio. Here's a link to see a picture. If you click through the slideshow, there's a video. This is a most excellent thread and of great interest to me. I have never owned a coffee maker in my life but clearly see the advantages of avoiding plastic parts in contact with the hot water. THANKS A LOT. Glass water pot, bring to boil, pour over grounds! Just be forewarned NEVER: drink to bottom! Buy a Faberware percolating coffee pot. It is electric and makes great coffee. Kind of old school, but all stainless. It seems that planned obsolescence has been thoroughly taken to heart by corporations, and that's likely part of the reason. I can't even find kitchen sheers that don't have plastic handles - they're designed to break. By way of update, I ended up getting the Precise electric teakettle and a Chemex coffeemaker. The link to the teakettle is below. It is literally the only one I found without plastic in the interior or in the lid. I like it quite a bit. I have written to several upscale manufacturers and retailers to let them know that there would be a market for an electric coffeemaker without interior plastic parts, and I recommend everyone else who has this concern do the same. I wrote to Breville and William Sonoma, for example. In vain I searched and decided to get a coleman all stainless steel camp percolater at Gander Mountain. I heat the water and pour into my Bodum French Press . That is the best I could come up with. Although the lid on my press is plastic. Maybe a press with no plastic lid. I am considering getting an electric tea kettle and a chemex, because there is so much plastic in all the coffeemakers out there. There are a couple of kettles that have very little plastic touching the water, which would be an improvement, but I haven't found one completely plastic free. I would love to know if anyone finds either a coffeemaker OR an electric kettle that is plastic free. Thanks! Many of your comments are great and some good product suggestions, but I am looking for an auto (electic) drip coffee maker with no plastic parts. I too have been looking. Even considering going to a commercial maker to get away from the plastic. The Bunn VP17 is good but is extra to upgrade to an all stainless basket. This AVANTCO came up in my search. Looks good and I may give it a try. Just found one by Breville that is BPA free. It is pricey and I'm not sure about the heating element (I don't want aluminum). I am using a Farberware Percolator which gives poor to barely fair taste and is annoying with five parts to wash every time. Hopefully more companies will start coming out with safer designs now that most people know about the hazrds of plastic. Email companies! Jura-Capresso Specialty Coffee Makers MG 600 turned out to be a flop. It is mostly plastic afterall and was poorly engineered. I sent it back. Still looking though! For those who would prefer to spend $10, I'm still very happy with my porcelain cone that holds paper filters. I bought one for my son, and he bought one for his aunt (although he bought hers from Starbucks and it has only one hole instead of three). It's simple and does the trick. I'm pretty sure this is the one I ordered on Amazon based on the reviews. I've been using it for years now and I'm very pleased. I gave up and bought a big Chemex. Then got an "Able Kone" stainless steel filter that fits perfectly in the Chemex - you still have to use paper filters inside of that, but the two together work GREAT and you can use the cheapest paper filters because the stainless cone holds the shape. After coffee is made, I transfer to an all stainless insulated "Emsa" carafe (stainless inside and out). It was initially expensive, but after over a year of making amazing (great) coffee this way, I am hooked and won't go back to putting boiling water on plastic. Jura-Capresso Specialty Coffee Makers MG 600, Stainless Steel/Black Accents looks like it does the trick and won't break the bank. Decent reviews on Amazon. It's likely there are points where water touches plastic, but at least the entire brew process doesn't involve plastic contact. Check it out. coffee maker's filter fits into a "plastic part"
Presto makes a 12-cup electric percolator. All internal working parts are stainless steel. Except for the electric carafe, all internal parts are dishwasher safe. The pilot light comes on when the perking/brewing is completed. 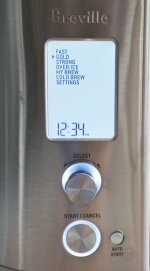 The unit will automatically switch over to lower heat for keeping the coffee warm (not perking). For stovetop, GSI Outdoors makes an all stainless steel, including the handle, stovetop percolator. All parts and carafe are dishwasher safe. The largest available size is 36-cup. I own both of these and love how smooth the coffee is when using a percolator. The GSI is a backup unit to use when power outage (no more instant coffee:o). I can use it over a camping stove. We just got a ceramic one cup dripper cone at Wiliams Sonoma. just buy the basket type paper filters and push them down into the shape of the cone the basket kind are cheaper. if you need a filter but you dont have any in the house use a tough tearless paper towel but run it under the faucet first dont do this to much. but you dont need to push them down just the weight of the coffee and the water alone will lower it further down into the cone. id get one of those 23k filters just rinse it out "each time"you make coffee with hot water. I too wanted to stay away from the plastic parts of modern day coffee makers and also liked the idea of making coffee the way my parents did. We purchased a Farberware percolator. It lasted about six months. Just wanted you to take this into consideration before making a decision on what to buy. Several posts way down on this page reminded me of a very easy and very old solution that has now been updated to be even better - percolators! The old ones were all hi-temp glass (Corningware) or enameled steel (still available - by Coleman and others) and typically had aluminum stems and baskets, which, while probably not as bad as plastic, are certainly not great. You can now find glass or stainless percolators and many have stainless steel baskets, and if you don't like having to use coarse grounds and still getting some in your coffee, they also make paper filters for the baskets! There are electric ones by sevaral manufacturers if you don't want the stovetop variety (the latter allows you to perc-to-taste, however) and Faberware makes a fast one that supposedly brews in just a few minutes. Newer Faberware ones are getting some bad reviews for longevity, though. Look around at different brands. Just type "percolator coffee maker" in Amazon. Here's a $19 stove-top stainless one! In answer to comment on Dec 3rd, Still looks like hot water passes through plastic to me, so still not the answer. This has a stainless steel reservoir. With the paper coffee filter, you pretty much avoid all plastic. I just ordered it. I too was looking for a stainless non plastic coffee maker, but i had no luck. then i found the chemex, i know its not automatic, but i actually enjoy making it this way. and yes it does make the best coffee that i have ever made at home. drip coffee maker with Stainless steel reservoir please! We would be very satisfied with a drip coffee maker with Stainless steel water reservoir. Does anyone know of a coffee maker that can at least offer that? I agree, there is definitely a market for an all metal coffee maker. Drinking coffee with water in contact with the plastic is probably not going to hurt you, but, there is plastic residue getting into every cup, guaranteed. Try the bialetti stove top perculator. All metal, and makes a good cup of coffee. I wish the filter were a little finer, but otherwise, its a good choice. Percolator=low quality taste SOME INVENT ALL SS PLS! While it's true you can get all-stainless-steel with percolators, they're known as being the worst quality in taste...though I know that those who grew up on these would probably disagree. I agree, BUNN, MR COFFEE, HAMILTON BEACH, SOMEBODY, invent an automatic coffee maker where the water never touches plastic!!!! Clearly there's a market for it!!!! Scour thrift stores! I inherited an all glass pyrex percolator, an all stainless steel farberware percolator, and an all stainless steel revereware percolator. These gave NO plastic parts. The problem is that they are 2-8 cups. You're right, the glass French press makes a good cup of coffee too. I bought my mother a glass one because she was using a plastic press. For some reason though, I prefer my porcelain cone. The French press is actually simpler to use, but I prefer drip coffee, maybe because the grounds don't go into the cup. You can buy a Wilbur Curtis Alpha 1ds and add a ss coffee basket for around $200 or even less if you don't mind re-furbished. They come and go on e-bay or you can find commercial liquidators. These are solid units that are made for a very long service life. What about the all glass and metal, French Coffee Press? I got tired of worrying about the plastic filter cone I was using and bought the porcelain cone from Amazon. What a relief. And it's really not that big a deal. I just put water on the stove to boil, set the cone on top of my husband's travel mug, or on a regular mug for myself, put in a filter, measure out the coffee grounds, and when the water is ready, pour it on top. It doesn't brew the hottest cup on earth, but probably the safest. My husband told me that the plastic that leaches into water from leaving water bottles to heat up in the car has been linked to breast cancer, so why would pouring boiling water through a plastic cone be any different? I'd rather have a tiny bit extra work than get breast cancer. Editor's note: You'll find more info on your husband's concerns at BadPlastics.com. My Brunn drip coffee maker has a very square plastic front upper edge and when taking the pot out the plastic lip of the inlet cone scrapes the cone edge coming and going. The scrapings must fall into the coffee. My question to Bronn was Is there anything in the plastic harmful to my health? NO ANSWER. Okay, so when are we all going to get together and create one and put it on the market. Sounds like a million dollar idea to me! I've been looking for over 5 years with no luck. I just ordered a Hamilton Beach Stainless Steel 12 cup electric percolator. I'm really looking forward to using it. It's basically what some of our parents used years ago. They didn't have to worry about all of this years ago. I think we're all getting spoiled by all the conveniences but that's all it is because all of these cheaply made plastic coffee pots got all the whistles but basically may cause health problems down the road. Is it worth it? I had a Keurig coffe maker/w the k cups and just stopped using it. It makes good, fast coffee but all that plastic (BPA )(#7) really got be scared. I've been reading many books and researching and I'm shocked at the things we have on the market with no concern about anyones health. I'll let ya know how the hamilton beach is. Good luck finding a stainless steel drip. Let us know if you find one. I just went on Amazon and read the reviews for this HB all metal coffee pot. Don't get excited - one reviewer said that the reservoir and basket are plastic. I have found that every coffee pot I have bought with a plastic reservoir leaves the coffee with a plastic taste - totally gross if you ask me. I too am to lazy in the morning to fuss with the chemex. I would love to find a programable coffee maker with a stainless steel reservoir, but there's no such thing. Hamilton Beach "All-Metal"--Anyone seen this one? I'm assuming "All Metal" refers to the outside, not the plumbing and coffee basket. Has anyone seen one of these to confirm? I love the Chemex, but we are lazy in the ayem! There are several vac pots Vacuum Brewers)on the market, notably by Hario and Yama that are all glass, and use a cloth filter. These require heating on the stove, and so are not automatic. However, if you keep looking on ebay, you will find an old Sunbeam C30A stainless steel electric vac pot. These were made in the 50's and 60's, and were so well built that many are still in use today. I got the Faberware superfast coffee percolator. All stainless steel pot. Coffee comes out really hot so if you add cream it stays nice and hot. Why not get the Chemex then? If you're going to heat and pour your own water, why not get the Chemex rather than the Melita porcelain? I think what people are saying is that they'd like to see something like the Melita porcelain but in an automatic coffee maker machine. Now they'd just have to make a non plastic reservoir for heating the water. So far, I have not been able to find one, that is an automatic drip style make without plastic parts that would come in contact with hot water. I have found manual types, electric perk types, expresso machines,etc., but no non plastic auto drip styles. I did find a manufacturer of replacement parts and spoke with them. It is all about the cost, very expensive to design and produce a new product. Anyone want to go into business? So I still search, I believe that the place to find if available is in the italian market. Will update you when I find it. Yes, there is a plastic free automatic drip coffee maker. It is made by Bunn (VP-17 series) It is perfect except for two reasons. You must order separately the stainless steel carafe and coffee funnel (for the grounds). It does not automatically come together. Also, the maker is actually for commercial use, so you must heat up three pitchers of water in order to make one pot of coffee. So, there is a concern about continually heating a large amount of water for a normal pot of coffee. Plastic or Metal? - Neither! I've been on the search too! Even if the basket were not plastic, most companies would probably make the reservoir in which the water is heated out of glass. I wonder if a country like Germany would have something? Has anyone on here used the Chemex? Do you have to buy their filters? Does it really make superior tasting coffee? 25 yrs. ago, I had the same concerns about combining hot liquids with plastics. It's taken a long time for the general population to become concerned! It seems that if someone moved quickly, they could stand to make a lot of $$$$$ by designing and marketing a moderately priced automatic drip coffee maker along with travel mugs that have non-plastic lids. Has anyone used the "Melitta MEP10T 10 Cup Fast Brew Stainless Percolator Coffee Maker"? I don't have one but was researching all stainless coffee makers and the search found this one. It is a plug-in percolator, but all interior parts are stainless and not plastic. No automatic timer, but I can live with that - you can set it up the night before and just plug it in when you get up. Does anyone have one to comment on or review? Thanks. I have searched and cannot find one either. I am sure somewhere there is one? I have changed to using a french press to be able to get away from heating through plastic. although I like the coffee from the french press, I still enjoy the drip a little better. I will continue to search and report if I do find one. there are likely hundreds of brands of drip coffee makers yet i cannot find one where at least the water reservoir and the basket is made entirely of metal of any kind. the best i have seen is all glass. yes, the chemex is great but you have to heat the water first then pour through. i guess i am going to go with the glass, but even that has plastic in the basket. seems like such a simple request. i am going to write a couple of companies to make a request. Return to Coffee Questions 2009.